Legislation does not add new luxury taxes for boats and preserves second home interest deductions. WASHINGTON, D.C. — Tax reform might not be the most glamorous of topics on Capitol Hill but the drama surrounding the passage and signing of a federal levy package certainly caused quite a stir around the nation a few days before Christmas. Pres. Donald J. Trump signed the approved tax reform bill on Dec. 22, the first major legislative win of the current White House administration. The National Marine Manufacturers Association (NMMA) hailed the tax reform package as a Christmas present for boaters and boating businesses. NMMA staff posted and shared an analysis on its website of the tax reform bill, outlining nine positive takeaways of the Trump and GOP initiative. “While no legislation of this magnitude is ever perfect, the final package includes a number of provisions that can be considered ‘wins’ for marine manufacturers and the recreational boating industry,” NMMA stated in its analysis. The NMMA analysis stated the signed tax reform package preserves second home interest deductions for boats and research and development credits. Also included in the bill, according to NMMA: lower corporate, individual and pass-through rates; an allowance for immediate expensing; changes to estate taxes; and, doubling of the standard deduction. A new luxury tax on boat sales was apparently averted in the final/approved version of the reform package, according to NMMA. Of course the tax reform bill, a $1.5 trillion rewrite of federal taxation codes, applies to all taxpaying Americans. Republicans mostly hailed the tax code update as a victory for the middle class, whereas opposition Democrats largely viewed the federal legislative act as benefiting business interests and the upper echelons of income-earners. H.R. 1, the formal label attached to “Tax Cuts and Jobs Act” bill, would double the standard tax deduction for both individuals and joint filers, according to the president. Trump added the child tax credit would also be doubled. Mr. President also claimed the tax bill reduces the corporate tax rate from 35 to 21 percent and allows businesses to deduct 100 percent costs associated with capital investments. Boaters dodged one bullet when the final version of H.R. 1 did not include the elimination of federal second home mortgage deductions. California’s boaters hope a similar, state level proposal in Sacramento – likely to be considered in January 2018 – won’t be signed into law. An article posted on DiscoverBoating.com outlined a few tax breaks available for boaters, such as second home mortgage interest deductions, entertaining clients and the donation of vessels to charity. 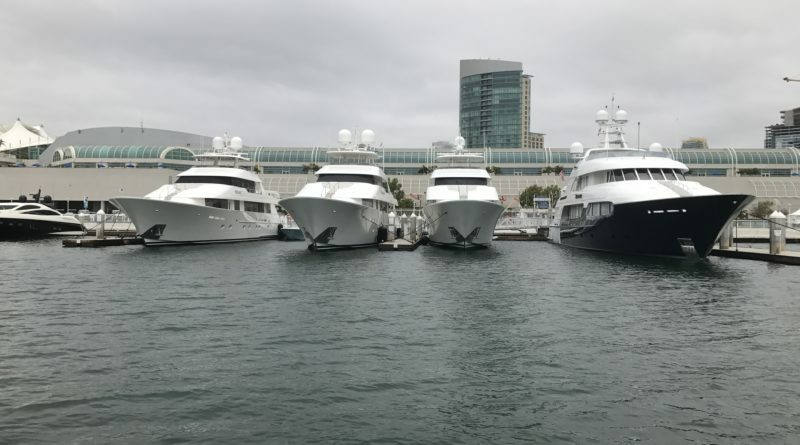 What can be done to convince California to put a cap on sales tax on boats so that state collects some tax rather than most large boat purchases going out of state to pay nothing. Boats are highly overtaxed; both sales tax on purchase and annual property tax just like a home. Florida has an $18k cap which collects quite a lot of tax. California always seems to address its fiscal mismanagement by further increasing the already high tax rates. As more companies and taxpayers move out of the state to avoid the high taxes, the answer is to raise taxes on those who remain.